True Ames Velzy Classic longboard fin available in 8" to 10"
True Ames 8″ to 10″ “Velzy” Classic. With regard to 1960’s fin development, Dale professes one operational guideline: If it didn’t work, we just kicked it off. The Classic survived Dale’s fascist regime, and now we can enjoy the template for ourselves. It’s relatively low area but long base and minimal flex give single fin boards a loose, yet trustworthy, energetic turn. This is a minimal area fin with a fair amount of sweep and some trustworthy length in the base. Drawing long lines and smooth turns are an inherent characteristic of this fin. Designed not to flex, the projection comes from the rails and directional V-bottom on your board. 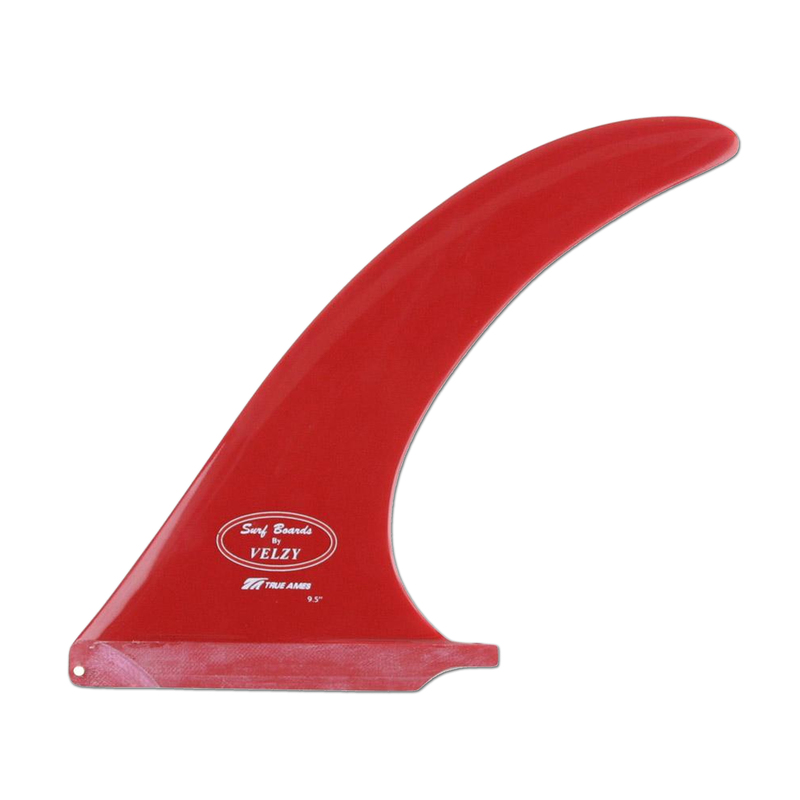 We also have reports of this fin working quite well with other slippery equipment. A true classic with some avid followers.